The Athletic Republic sports performance training system comes complete with a full suite of support programs and services designed to help training centers deliver extraordinary performance for the athletes, employees, and owners. The following is a summary of materials including Business Development, Marketing, Training Center Operation, and Continuing Education programs that you would receive to help improve the athletes' training experience and the training centers' operating performance. We offer guidance in choosing a facility location, determining training center size and selecting training services. We also provide the expertise to design the training center floor plan to maximize the number of athletes trained and deliver an extraordinary training experience. In addition to Athletic Republic proprietary training and technology equipment, we have national account relationships with training equipment manufacturers that can match your service offering and training center look. Our over 4,000 pages of training protocols are organized by an athlete's physical development and the skills required to play their sport and position. In order to deliver this individualized, sport-specific training experience, we provide online education, classroom, and on-site training in an Athletic Republic training center so you and your trainers learn how to apply the athlete training protocols, understand equipment operations, manage athlete workflow through the center, and develop new business. Establishing an annual business plan and operating budget are key tools for measuring key performance indicators (ratio of rent to revenue, average athletes per trainer session, lead generation and contract conversion, athletes per open hour to meet break-even target, etc.) and financial position. Athletic Republic centers access our national affiliation with MindBody Online to manage their training schedules online, conduct point-of-sale transactions and provide business reporting. The centers also utilize AIMS (Athlete Information Management System) to capture pre- and post-test data and measure performance results. AIMS is also use to store and deliver the training protocols to each center. We’ll teach you how to run the business of sports training—hiring capable, well-trained staff, offering products and services that meet the needs of the local athletic community, and offering your customer a great experience that delivers results. We provide every new franchise with the marketing resources to support your local community outreach efforts while building towards your training center's opening. Your franchise comes with sales and marketing tools and materials to support the center team as they implement customer retention, referral, and acquisition strategies. Resources include a search engine optimized website with freedom to customize your online presence, a social media and digital advertising program that will aid in building awareness for the training center, and seasonal marketing campaigns that connect with your local customers. 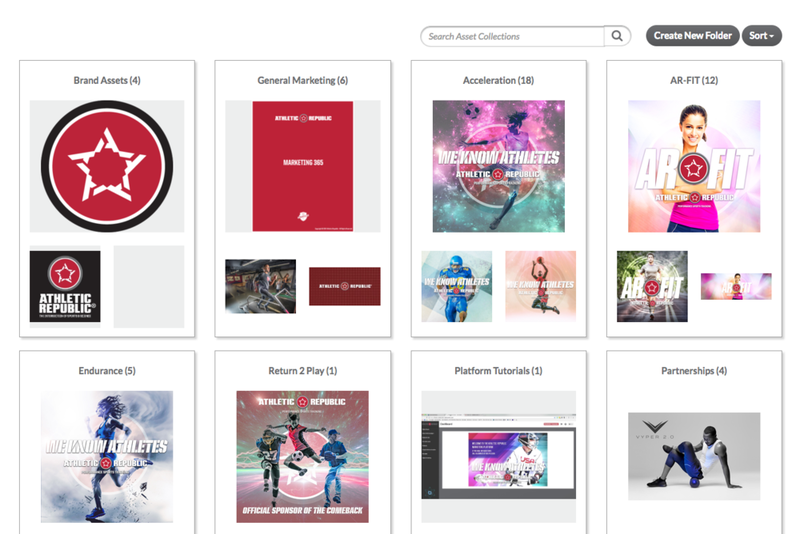 Each franchise partner has the ability to access timely support services and everyone on the Athletic Republic HQ team is available to get in the game or provide support from the bench. Each member of the HQ team is a resident expert on specific topics and available to assist and support your franchise. The 'Athletic Republic Playbook' electronic newsletter is a resource every training center team member receives from AR HQ every 4 - 6 weeks and includes the latest information about training programs, protocol updates, resource materials, network best practices, marketing resources, partners and promotions, events, and so much more. Learning how to train the Athletic Republic way is taught through a series of on-going education modules. The Level 1 and 2 courses are offered online and delivered to the trainers on their schedule. The five classes that make up Level 1 are designed to help the new trainer or intern contribute to the business, answer the phones, respond to customer's questions, lead dynamic warm-up and recovery, administer athlete assessment, and learn what it takes to deliver an extraordinary experience. The five classes in the Level 2 course builds on our TEST - TEACH - TRAIN approach to every athlete's development, and teaches trainers how to apply protocols, improve running mechanics, and utilize the AR system to help each athlete achieve their goals. Our Level 3 course is offered each year in the Spring and Fall, as a four-day hands-on experience at AR-HQ that applies our knowledge, our system and best practices to improve each center's product knowledge, training expertise, customer relations, employee management, marketing efforts, operating practices, and financial position. As part of the equipment installation process, one of our Level 3 instructors will be on-site to assist with the trainer development and to coach trainers through the soft-open trials. The Advisory Council was established to provide timely insights and feedback on the opportunities and the challenges the network members are considering or confronting. The 8-member Advisory Council represents a broad spectrum of the network's most successful training center owners and operators, and are committed to sharing their expertise and guidance. 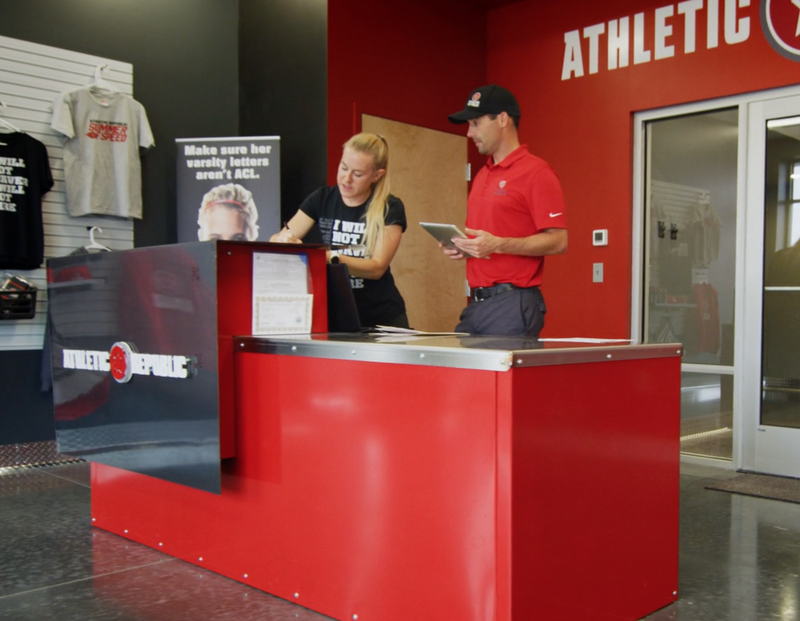 Athletic Republic offers some of the best franchisee support in the industry. As soon as you complete your Franchise Application, our team is ready to help, throughout the franchising application process and beyond. Our goal is clear … One brand, One voice, One experience, and One network of evidence-based training centers providing athletes the best of performance sports training. Our brand is everything we do. How we talk. How we dress. How we communicate. The brand book is a set of guidelines to help the franchisee bring the Athletic Republic Brand to life by creating an extraordinary consumer experience. The "Season of Speed" promotion and "We Know Athletes" campaign are examples of national marketing programs developed by AR-HQ for use at the local level. Each campaign encompasses a full suite of marketing assets including print material, web banners, blog posts, social media creative, email templates, and an activation guide designed to support each training center's business development efforts that focus on customer acquisition, retention and referrals. The center websites are managed by Empowerkit, a leading web developer for scalable franchise applications. Each center receives a website template that reflects the brand and is pre-populated with national content, while simultaneously catering to a center’s individual programming needs. Empowerkit provides the hosting, template updates, individual center support and is available to assist centers with SEO programs and online marketing. HQ and its agencies contribute content to the websites, video updates, blog postings and new materials as they are development. Athletic Republic has several alliances with leaders in their respective industries to extend our marketing reach, retail sales and program development efforts including: Gatorade, 2XU, Trigger Point, and Wahoo Fitness. We provide every new franchise with a Brand Playbook, collection of marketing materials and sales training resources to support your local community outreach efforts while building towards your training center's opening. This includes access to our marketing solutions catalog where you’ll find things like business cards, banners, best practices guides, and affiliations with agency partners (public relations, creative design and production, website and video production). The 4,000+ pages of sport-specific Acceleration training protocols are accessible by network members through AR's Athlete Information Management System (AIMS) ... along with a series of Endurance Sports training programs - 3S (Speed, Strength and Stability), Distance Running / Interval Training, Indoor Cycling, and AR-FIT workouts. MindBody Online is a third-party software business which has customized their online scheduling and point-of-sale solution for Athletic Republic. The software provides center customization and access to the center's schedule from any computer for customers to schedule sessions online. Real-time business analytic reports make this online solution one of the key tools for managing the training center's business. The FAP is a center-specific approach to identifying and addressing the most critical issues a training center is facing. Beginning with an assessment of the business the program leads to establishing objectives and accountability. The process includes weekly single-subject conference calls that address the areas of highest priority to center's performance, while working with the center team to implement solutions and build long-term competency. Depending on the scope of a center's initiative(s) the FAP may extend from 4 to 12 weeks in duration. Click below and fill out the required information. We’ll respond shortly and help you begin pursuing your goal of owning a sports franchise. Prime locations for an Athletic Republic are available nationwide, so act now.